Chetham’s Library has been in continuous use as a free public library for over 350 years. 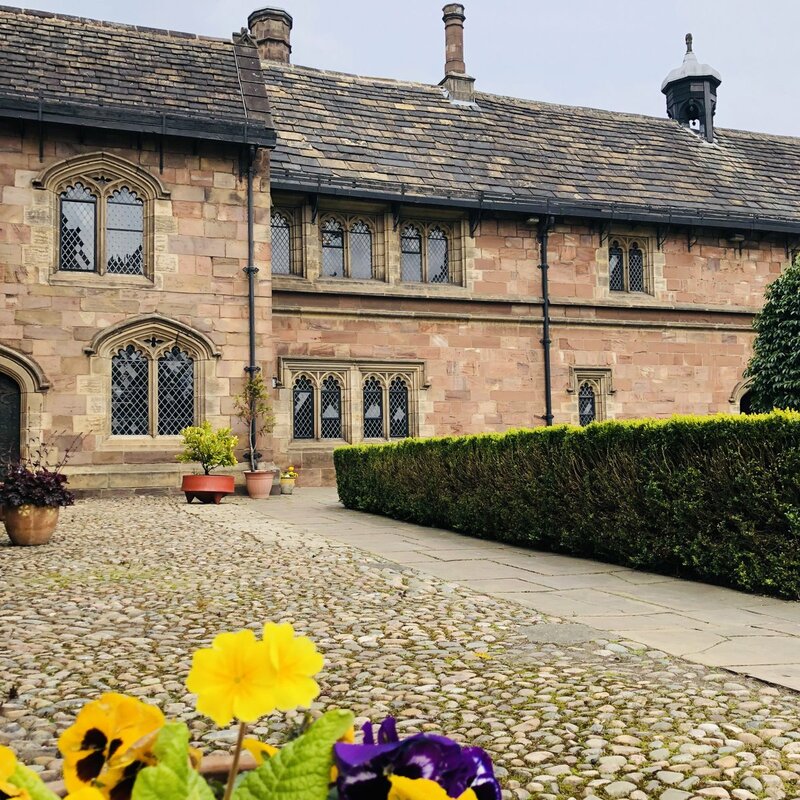 It is housed in a beautiful sandstone building dating from 1421 which was built to accommodate the priests of Manchester’s Collegiate Church. The entire collection at Chetham’s Library has been designated as one of national and international importance, an accolade of which we are extremely proud. The Library began acquiring books in August 1655, and has been adding to its collections ever since. As well as a fine collection of early printed books, the collections include a wealth of ephemera, manuscript diaries, letters and deeds, prints, paintings and glass lantern slides. We operate a timed entry system for visitors. Times are listed above. Please gather at the Long Millgate entrance, and a guide will bring you over to the Library. Please note that the Library will occasionally need to close to visitors. We will always try to make sure closures are advertised well in advance on this website and on social media, but if you are travelling a distance, or if your visit is of particular importance, we suggest you contact us in advance. Entry to the Library is free, but we ask for a suggested minimum donation of £3. For a closer look at the Library, including access to the medieval building, we offer guided tours through our partner Jonathan Schofield which can be booked through his website. For more information please see our visiting page. If you wish to consult the collection, Chetham’s Library is open to readers Monday to Friday 9.00am-12.30 and 1.30-4.30pm by prior appointment. Please email us or call 0161 834 7961. Please note that there will be no 10:00 entry to the Library on Wednesday 24th April. We apologise for any inconvenience this may cause.